Attorney Mark Twombly Lee is a fourth generation resident of Worcester county and practices law exclusively in the Worcester County. His regular presence in the Worcester Courts and familiarity with the court and the bar eases his clients’ way through an often confusing process, saving them time, money and wasted effort. 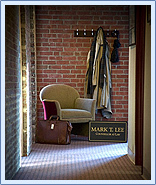 Attorney Mark Twombly Lee for more information or to schedule a consultation.